“Free” and “Facebook advice” are music to any small business owner’s ears. With the unstoppable rise of social media, it is crucial to stay in the know about social media and what it can do for your business. And evidently, lots of business owners want to stay in the know based on the more than 500 in attendance at the most recent Facebook event in Boca Raton. “Without Facebook we wouldn’t be in business anymore,” said Lee Raymond of Raymond Lee Jewelers in Boca Raton, whose father started the business in 1983. He said Facebook fans like to see pictures of beautiful rings. “We see what gets the most buzz, and we focus on that,” he said. Pam Waddick, who recently started her fitness business for new moms, Evolution Fitness in Boca Raton, has since expanded to Boynton Beach and Coral Springs. “It’s all because of Facebook,” she said. Facebook can be a highly effective tool for your business when it comes to public awareness, generating leads, and actual sales. However, if you aren’t familiar with Facebook or their social media packages, knowing where to start can be very overwhelming. Fortunately, for South Florida business owners, another opportunity to learn is coming this Friday when they host another conference at the Intercontinental Hotel at Doral Miami from 9:30-11:30. Facebook small-business expert Nina Ferritto will give tips and answer questions while a panel of local small-business owners talk about their Facebook experience. Ferritto will also explain how small businesses can choose different levels of Facebook exposure for their ads, paying a set amount, such as $10 per day or $100 per week. Facebook is even testing a “buy” button on the ads that would allow customers to buy the advertised goods directly, Ferritto said. Edward Flak, owner of 2-year-old nurse registry LifeCare Companions in Boca Raton, attended the Facebook event and said though he pays someone else to do the company’s social media it’s important to know where your money is going and stay on top of things. Worth your time?—yes. Worth the drive?—yes. Education and knowledge are key to running any type of business so why not? So, once you attend the conference and realize that you need to be focusing your time and attention on the fine details of running your business, then stop by Lakeside Executive Suites and see how we can allow you to do just that. Officing at Lakeside Executive Suites means you have the ability to step away from work and still keep your phones answered and your business running. We offer a full-service office experience from premier office space to personalized reception services, Class A meeting rooms, state-of the-art VOIP telephone system, bilingual staff, and virtual office solutions to name a few. Who doesn’t love fall? Cooler days, chilly nights, bon fires, changing leaves, glutinous family feasts and get togethers…life just seems to slow down and take on a different pace. And with 3 or so more months to spare before we have to start declaring our New Year’s Resolutions for 2015, why not finish 2014 on a strong note? Accomplish the goals that you set for yourself and relish in the satisfaction that a goal set was a goal accomplished. 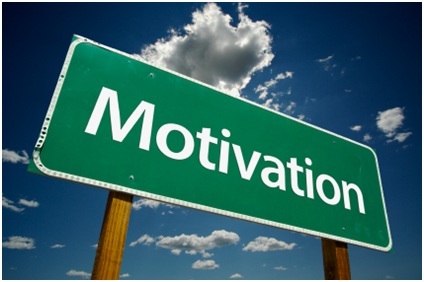 If you are needing a little boost and some encouragement to follow through, then take heed to the advice that Xenios Thrasyvoulou, contributing writer for the South Florida Business Journal, suggested for increasing your motivation and productivity. 10 simple, sensible, and practical ways to finish 2014 with the vim and vigor and give yourself more time in work and in life. The culture of telling people what to do because you’re the boss is dangerous. It removes accountability from people taking decisions and creates a safety net. If you’re the customer, you can define what really matters to you. You can gain a new perspective with a change of scenery and some fresh air. Block time to think about the things that really matter before other people fill your calendar with things that don’t. Wake up and reset your priorities each morning. Leave what happened yesterday behind you. Ask yourself what’s important for the day ahead which helps you maintain focus. Priorities are not to-do lists. Your to-do list may be endless, but you should have no more than three priorities at any point in time. You will find that most things are not priorities — they are nice-to-do’s. It’s so easy to get off track with so many things happening in your business and personal life. Even if you are not 100 percent sure about your final goal, not having one or forgetting your goals is much worse. Small easily achievable goals are pointless because they set a precedence of mediocrity and complacency. Set big goals. They will stretch everyone to keep rethinking the path to success each day. Some people think better in groups and others better alone. Some are early risers and some are night owls. Figure out what you are and plan around to it. Giving your brain empty space is important for recharging and creative thought. When your day is overscheduled and over programmed, you are likely to be less productive and satisfied with your efforts. To give yourself time for nothing, the flexibility to work when you feel most motivated, and be your own boss, why not let someone else do the work for you. Officing at Lakeside Executive Suites allows you to do just that. You no longer have to worry about presenting a professional image, finding a professional meeting space, leasing/buying costly real estate, furnishing your office, staffing your office, taking calls, making copies, finding someone to clean, paying for utilities,…etc. Lakeside Executive suites has all that covered and more. We have all the perks and amenities you need at a price any business owner can afford. The margin you gain in your professional and personal life by choosing Lakeside Executive Suites is all the motivation you need to complete the goals you already set for yourself and dream even bigger next time. Part of staying motivated and productive is knowing when to make a change and pass off some of the responsibilities to increase your possibilities.